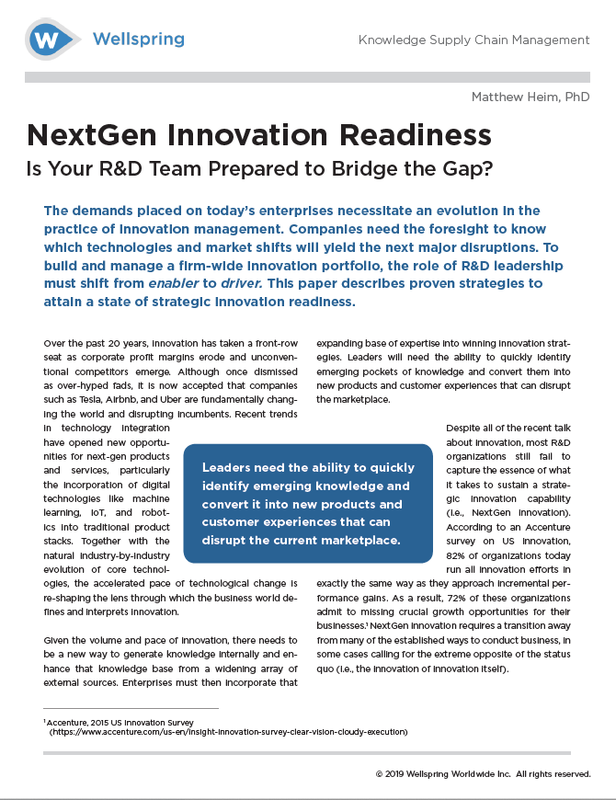 Is Your R&D Team Prepared to Bridge the Gap? The demands placed on today’s enterprises necessitate an evolution in the practice of innovation management. Companies need the foresight to know which technologies and market shifts will yield the next major disruptions. To build and manage a enterprise-wide innovation portfolio, the role of R&D leadership must shift from enabler to driver. This paper describes proven strategies to attain a state of strategic innovation readiness.